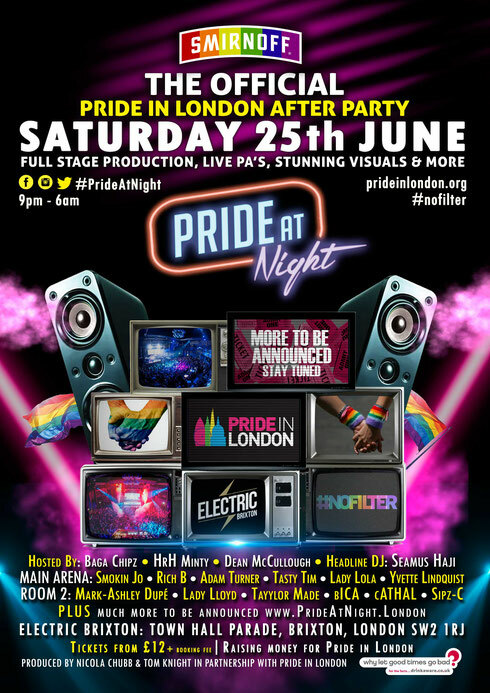 L-Wired Events and Tom Knight in partnership with Pride in London present Smirnoff Pride At Night, the official Pride after party at Electric Brixton on Saturday 25 June 2016. The event, which aims to unite the whole LGBT+ scene in the spirit of Pride, features a line up of DJs including Smokin Jo, Seamus Haji, Tasty Tim, Rich B, Mark-Ashley Dupé, Adam Turner, Lady Lola, Yvette Lindquist, Lady Lloyd, Tayylor Made, Sipz C, bICA, Cathal, with live PAs to be announced. 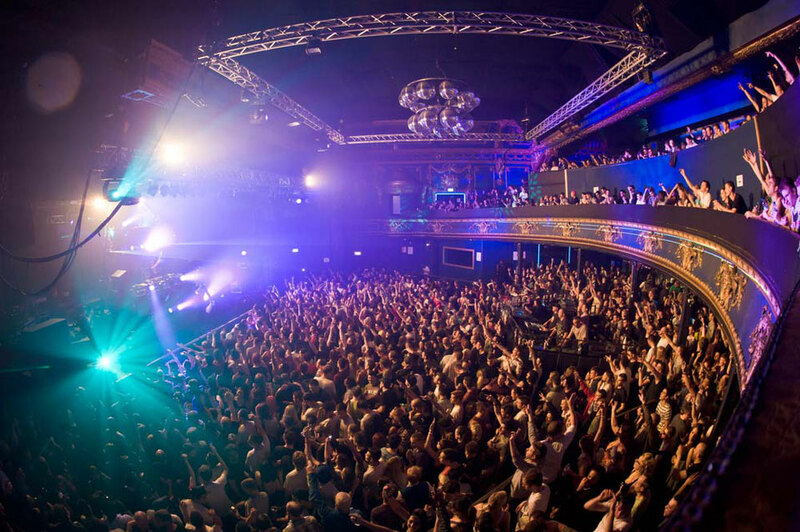 Located at possibly one of the London’s most iconic live music venues, Electric Brixton, the event will feature some of the most established and freshest on the LGBT+ scene playing in two packed rooms, plus huge mezzanine level and full stage production with dancers, PAs, visual effects and décor. London lesbian club impresario and promoter Nikki Chubb, known for Mint, Rush bar, Out on the Docks and the original Winter Pride at the Tobacco Docks has joined forces with Tom Knight from Pride in London, Gay Times Magazine and formerly Brighton Pride to host the closing night party. General tickets start from £12 with VIP and student tickets also available. #PrideAtNight is proudly supporting Pride in London.